You ready to tackle the missing pieces of your business puzzle? GIDDY UP! I help up-and-coming female entrepreneurs Birth, Grow, and Scale Your SOUL Business. Working with me means that you’ll enjoy quantum leaps, even if you are limited by time and budget. (Random-ish side question: Have you ever seen the late 1980’s TV show “Quantum Leap”?! I LOVE quantum leaping, and it’s part of my mission with clients to do it sustainably.) We do this successfully by rocking literally divine support, customized soul-based strategy, and the perfect mix of aligned actions. You may have found that when you feel like you’re “WORKING”, it can be a total drag. Yet “PLAYING” isn’t quite the right word either. When we’re working it together, you might be surprised that your homework at times could be to implement a simple daily yoga routine or to make use of some “relationship secrets” so your marriage is as rock solid as your growing business. We both know that your business won’t thrive long-term if the rest of your life is crashing down. Sometimes? You’ll put yourself out there to take calculated risks with soul and strategy… and while it’s scary as kale in the moment, you find it invigorating. HOLY SMOKES, all of your actions and alignment come together to launch a sold-out program in what seems to have been in hours or days. The bigger truth? Your intentional action, deep alignment, and — yes — divine support allow for healthy and exciting growth spurts. So business feels like pleasure. No need for burnout. Find yourself saying “no” to the things that drag you down and SO MUCH “YESSS!” for your life and business choices. Together, we’re throwing gasoline onto your soul’s fire. KABOOM and HUZZAH! READY + HERE WE COME! For Sylvie at SylvieBags, we upgraded her complete online presence. I rebuilt her website, created her updated logo and branding, and even photographed her in her studio. We then gave her Facebook a facelift, as well as set up her MailChimp account with a gorgeously branded template. RESULTS: She quickly saw business that came directly from her website AND had a “very busy year” despite not being particularly active on social media and traveling far more than usual! For Jessica Light, we built out a simple 1-page website inviting folks to book a call with her. In ONE 90-minute “Get ‘Er' Done” session, we built the site, wrote the copy, and got everything working and LIVE. Yes, you could say that I am efficient. haha! RESULTS: A client booked a paid session with her on the VERY DAY that the website went live, and she now has an online presence for this new and budding part of her online business. For a client with several related businesses and $3,500,000+ in annual revenue, we’ve upgraded the online presence for every part of the business. I rebuilt two websites more strategically and built a website for the 3rd business. For a component of the larger business which advertises under a different name, we mapped out the strategy and felt it most aligned to ramp up and upgrade the Facebook presence. For this same business owner, we (including myself and my team) took over the Facebook page and email marketing for the most active business and saw a 2,300% increase in engagement without any paid advertisement. Note: My team is still working actively with this client, and each week we post to Facebook + create content + send a weekly newsletter on the client’s behalf. HOWEVER, because we are “ghost writing” for this client, I do not feel comfortable identifying the client here. RESULTS: The revenue for that same business is up 25% over last year, and the Facebook engagement continues. Huzzah! Many other clients (literally thousands) have attended my online courses. Some of the courses include: the Raw Food Jump-Start, Teach Raw Food!, Rock Your First Course, Birth Your Soul Business, Build Your Soul Business. Feel free to take a peek at some of my/our recent projects and some of the love notes on the page here. I could really go on for some time about ways I’ve helped clients because I have been in business online since 2008, and sometimes what I put out is a course that serves hundreds of clients at a time! I hope this is enough information to help you decide if you’d like to connect with me!! While I have plenty of systems, ideas, and resources on tap, the way I work with clients can vary BIG TIME. As mentioned above, I do not believe in “one size fits all” for building a business. I also do not have any issue with consciously outsourcing when it’s in your highest alignment or helps you to stay high quality and on budget. AND, when it’s the right fit, I like to find a way to work together that’s on budget for you. I don’t believe in billing budding entrepreneurs far more than their business can handle. YES, investing is important. YES, it often creates growth. And NO, it’s not always the right time for a huge investment! Ready to ROCK IT with a smaller project? If you have SOME ideas already moving but could use some guidance, a “Get ‘er Done” session might be the right fit for you? Otherwise, if you’d like to start with strategy or explore the options, you’re warmly invited to connect with me for a no-strings chat. If it’s a good fit to work together, and I have the time in my calendar, we’ll create an option that’s ideal for YOUR goals and budget. You’re ready for your next step, but you’re unclear on the strategy that’s going to bring you there with grace. AND, you’re not seeking any ole Joe’s “Business in a Box” kinda strategies. NOPE. 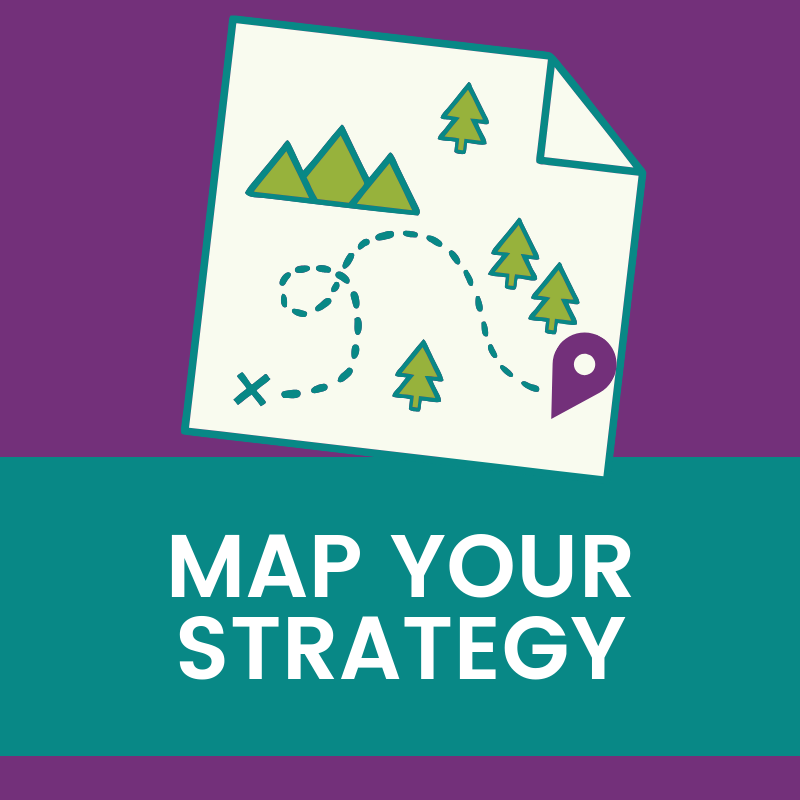 You want strategy that fits YOUR business! Together, we’ll look at your budget, your goals, your existing assets… AND… most importantly, what your Soul Business is all about. What wants to be birthed or built? How can you successfully scale? We can craft the perfect package for YOU. Get ‘er Done Sessions are just how they sound. This is for you if you’re ready to “GET ‘ER DONE” with the mini-project that will bring your next steps to life. Like launching: your 1-page website, your email list, or your social media presence.